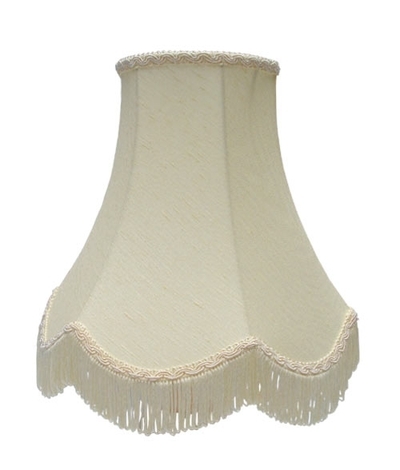 Traditional scalloped bowed empire bespoke candle shade handmade to order in any combination of fabric and trim taken from out traditional lamp shade swatch. 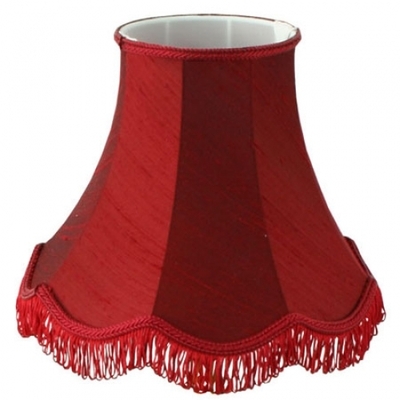 This candle lamp shade clips directly to the light bulb of a chandelier, wall or ceiling light. 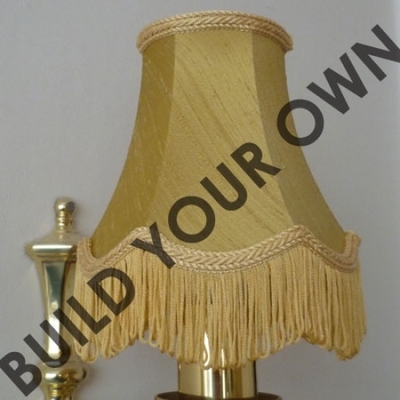 To customise your traditional candle shade use our online lamp shade builder to create your own bespoke candle lampshade.